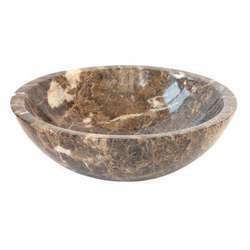 Prominent & Leading Manufacturer from Jaipur, we offer marble charan, marble elephant and marble sinks. We are the well-known & reliable manufacturer, exporter, wholesaler, trader, retailer and supplier of Marble Charan. This marble charan is appreciated in the market for its beautiful designs and appearance. Our marble charan is provided in numerous customized designs options as per the choice of customers. Also, this marble charan is made by using best quality stone & advance shaping & cutting tools in accordance with the market trends. Shri Roshan Marble Arts & Handicrafts is well known for its artistic carvings, whether it is marble or wood products. 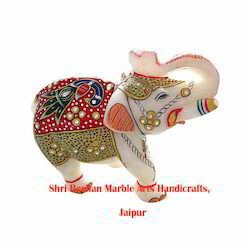 This Marble Elephant is perfect example for super craftsmen.Beautiful & contrasting colors with artificial beads. Perfect for gifting purpose or self usage. Looking for Marble Artifacts ?